The Teamsters have convinced U.S. lawmakers to exempt trucks from a bill allowing more autonomous vehicles on the roads. Granted, 3.5 mln jobs are at stake. But as Tesla joins Daimler and others in the big-rig tech race, it’d be smarter to prepare haulers for a career shift. 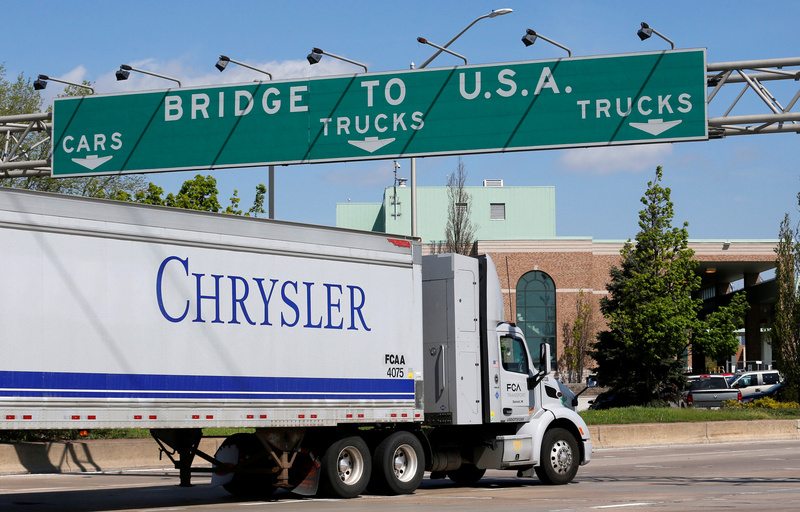 A Chrysler semi truck heading for Detroit, Michigan, drives on the lane to Ambassador Bridge in Windsor, Ontario, Canada, April 28, 2017. The U.S. House of Representatives plans to vote on the first federal legislation on self-driving vehicles when lawmakers return from recess in September. The bipartisan bill would allow manufacturers to eventually put an industry total of 100,000 vehicles a year on the road that don’t have traditional auto features, such as a steering wheel and foot pedals, or meet certain safety requirements. Currently, the National Highway Traffic Safety Administration grants 2,500 exemptions a year for vehicles that don’t have such standard features or safety requirements. The proposal would require carmakers to submit safety-assessment reports to regulators, but does not mandate pre-market approval of new technology. The bill also prohibits states from setting rules on self-driving performance standards. The measures only apply to vehicles weighing less than 10,000 pounds, which excludes large commercial trucks. That carve-out was sought by the International Brotherhood of Teamsters, which represents 1.4 million truck drivers, warehouse employees and other workers.